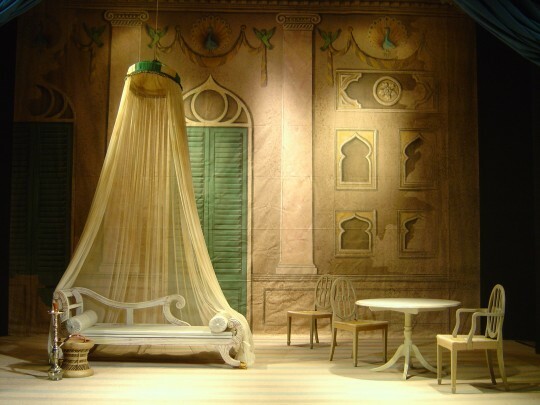 Set in the period of the early British Raj, our elegant production of Così fan tutte toured to 20 venues throughout the UK and was conducted by Fraser Goulding and designed by Gabriella Ingram. 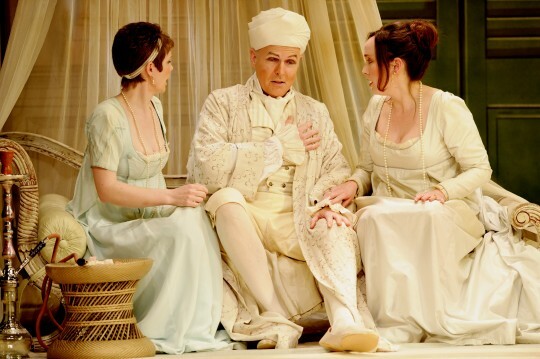 We go to Covent Garden and Glyndebourne and this compares very well! We enjoyed it so much because it was very musical (we are amateur musicians) wonderful orchestra – especially that horn solo & the bassoonist. Wonderfully produced and fantastic singing. Precious and rare chance to see this (or any!) opera in the area, so happy to travel from 60 miles away. The performance was beyond expectations, singing and acting of such a high standard, & production making this wonderful work so accessible through the English translation & lack of gimmicks or distractions, & the support given by the orchestra and conductor. My daughter came with me wanting (at last, in her 30’s!) 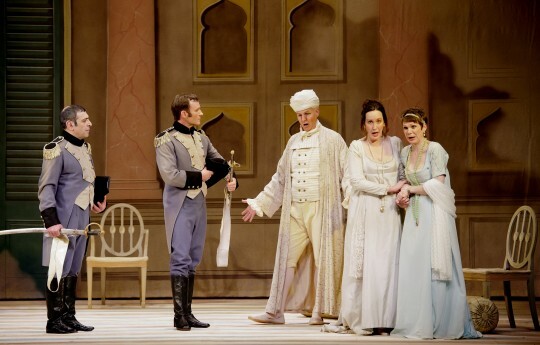 to see and opera, and she was bowled over. I enjoyed the performance greatly. 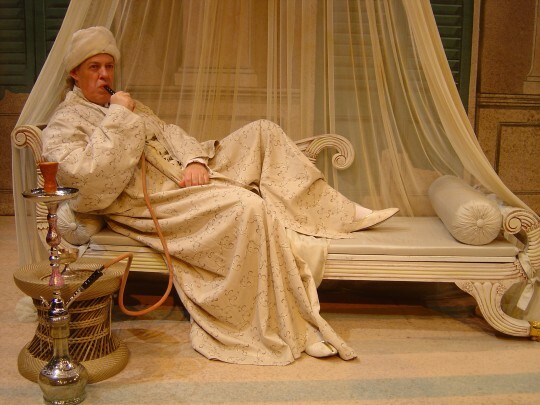 The standard was very high and I can attest to it as a former Trustee of the Royal Opera House. It is marvellous to be able to see a performance of this calibre in a small town like Mansfield. 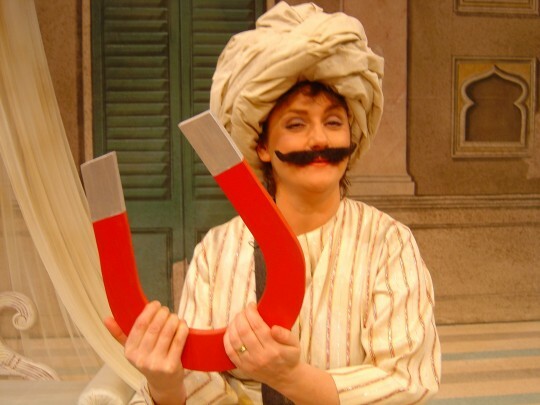 The Barber of Seville was the first opera I had ever seen – here in 2011 – and both it and this performance of Cosi fan tutte have opened my mind to a different art form. Thank you! 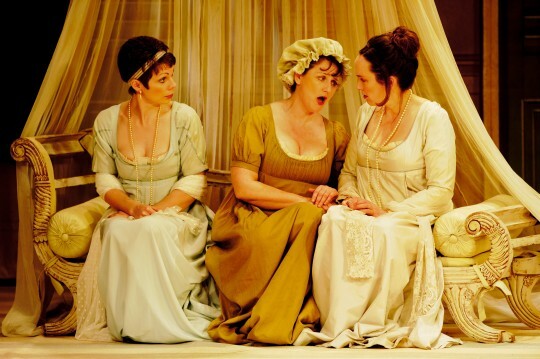 This was amongst the best performances of Cosi fan tutte that I and my wife have seen. Pre-performance talk was excellent – set the context for the performance, both historic, and details of choices for this particular rendition. It was engaging, thought provoking and the show was beautifully presented from start to finish. Hope I can come again.